Jay-Z. Coming out with new album . Album coming out this NOV. Some people probably not feeling the whole new Jay-z return of a new album but he is back. I don’t know what the fuss is about Jay-Z coming out with. A new album would be good for the self proclaimed “king” of the rap game. The movie, set for a Nov. 2 release, depicts the Lucas character as an underworld Horatio Alger and an innovator who, despite keeping a low public profile, rose to such power that he was able to defy the Mafia bosses who had traditionally dominated the New York drug trade before being brought down by a special narcotics task force. (Its leader is played by Russell Crowe.) 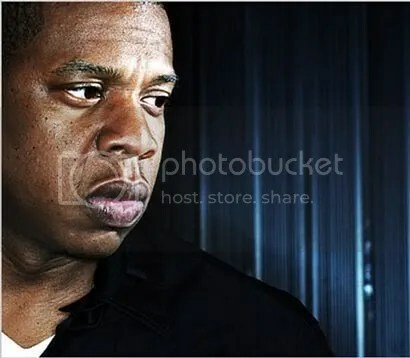 Jay-Z said he thought his fans would be struck by the image of a black man reaching such heights of success, even on the wrong side of the law, much like such ruthlessly efficient Al Pacino antiheroes as Tony Montana and Michael Corleone. Jay-Z has the know how to market and publicize this new album to the fullest. This new album is a “concept album’. This is the first of its kind for Jigga. He will be inspired to do this from the upcoming movie “American Gangsta” How originally for him to crank something out like this. The boy is hot at what he does. Check out some of the sick things he say. Rappers beware, get ready for a new rapper…. I mean trapper in town. Please don’t compare me to other rappers. Compare me to trappers. I’m more Frank Lucas than Ludacris. And Lude is my dude, I ain’t trying to dis. Just like Frank Lucas is cool, but I ain’t tryin’ to snitch. I’m-a follow the rules, no matter how much time I’m-a get. I’m-a live and die with the decisions that I’m-a pick. Jay-Z Album due out November. You are currently browsing the archives for the Jay-z Drop new album category.